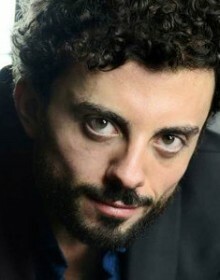 Born in 1983 in Palermo, Giuliano graduates in “lettere moderne” (modern literature) with a thesis on the theatre works of Pier Paolo Pasolini and receives his diploma in acting at the “Scuola del Teatro Stabile di Torino” founded by Luca Ronconi and directed by Mauro Avogadro, where he studied with Avogadro himself, Marise Flach, Franca Nuti, Marco Merlini, Emanuele De Checchi and many others. Stages and workshops also contributed to his training held by artists such as Marco Baliani, Antonio Latella, Alfonso Santagata, Valerio Binasco, Mimmo Cuticchio, Arturo Cirillo, Jurij Ferrini, Ricci/Forte, Susan Batson. In theatre he worked as an actor with John Turturro, Carlo Cecchi, Giancarlo Sepe, Emma Dante, Marco Baliani, Daniele Salvo, Mauro Avogadro, Carmelo Rifici, Cristina Pezzoli. In 2011 he was exhorted by the jury at the “Premio Hystrio alla vocazione”. 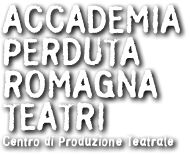 In 2009 Scarpinato makes his debut as director with “I ciechi” (the blind) by M. Maeterlink for the “Teatro Stabile di Torino”. In 2012 he was one of the finalists at the “Premio Scenario Infanzia” thanks to his work as playwriter on “La fortuna di Philèas”. Scarpinato wins the “Premio Scenario Infanzia” with “Fa’afafine - mi chiamo Alex e sono un dinosaur” (Fa’afafine- my name is Alex and I’m a dinosaur). 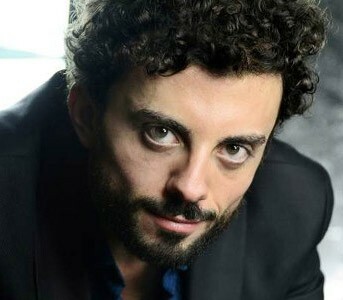 After his debut in Bari, for the Festival “Maggio all’Infanzia”, the play was hosted at FIT – the international festival of Theatre of Lugano were he received the “Premio Infogiovani”. For the 2015 edition of the “Festival Dionisiache” Giuliano Scarpinato curated the direction and dramaturgic elaboration of “Elettra”, by H. Von Hofmannsthal, in the Doric Temple of Segesta. “Elettra” became the circumstance that created the artistic collective CaveCanem” (actors, musicians, video makers), that has the intent to conceive and create new projects. In 2017 Scarpinato makes his debut at the Festival "Segnali" in Milan with his new play “Alan e il mare” (Alan and the sea), co-produced with “Accademia Perduta/Romagna Teatri” and “CSS Teatro stabile d'innovazione del FVG”.